For those of us blessed with healthy eyes, it's common to overlook the importance of a routine eye exam. However, timely detection of any eye or vision problems is necessary to keeping your eyes healthy. This can easily be done with an annual eye exam. Many eye and vision problems have no apparent signs. Consequently, individuals are often unaware that problems exist. 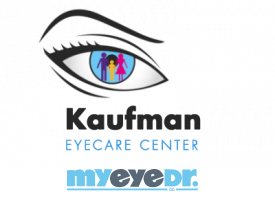 You can book a comprehensive eye examination at our office in Boynton Beach, where our highly-trained optometric staff provides service suited to the needs of each patient. Our Boynton Beach practice employs the latest technology ensuring a thorough examination. Unfortunately, over than three million Americans suffer from glaucoma, the leading source of blindness but only 50% of them are aware. Glaucoma is often called ''the sneak thief of sight'' because it can impair vision absent of forewarning. Most adult Americans don't use visual aids and don't receive comprehensive eye exams, thus leaving their eyes at danger. The problem is that most people don't realize that sight-stealing diseases like glaucoma and macular degeneration often have no early symptoms and without a comprehensive eye exam are frequently discovered only when it's too late. Regular eye and vision exams to screen for eye disease should be on your to-do list. Make sure to set up regular eye exams with your local optometrist to keep up your vision and eye health for many long years.